Warmer weather means that you will probably be out enjoying your boat more frequently. Just as with any other vehicle you own, it is important to regularly clean and maintain your boat so that it performs at its very best. In addition to regularly washing the salt that accumulates from being out in the water, a deep cleaning of the engine is highly recommended. When you are spring cleaning, don’t miss the engine room of your boat, and give it a thorough and deep clean, as part of your boat maintenance routine. 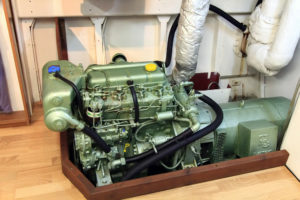 Read below for detailed information on how to clean the engine room. Perera puts down clean, oil-absorbent pads in the engine room so that he can see immediately if there are drips or leaks. During his frequent checks of the engine room he scans for dust that may be a sign of a worn or slipping belt, or if there’s smoke or residue from a leaking exhaust hose. Making sure oil is at the proper level and changing it regularly benefits your diesel engine in innumerable ways. While a diesel engine may run at low rpms, it’s still working hard whenever it is running, and the engine oil does more than lubricate moving parts and reduce friction. Oil also keeps pistons and cylinders cool, and protects the walls, valves and turbochargers by acting as a sealant to stop corrosion. Whether or not to change your own engine oil depends on your mechanical skill level. Most new boats have oil-changing pumps that make it easy to get the oil out, but older boats don’t have such conveniences. You’ve got to get down and dirty to find the oil pan and drain the oil. The bottom line is changing the oil can be a big job that’s not worth the hassle. However, it’s a great idea to know how to change filters and add oil when needed. Many of today’s diesel engines use covered plugs and connectors for the electrical system, but if you do have exposed connections, there are ways to ward off corrosion. 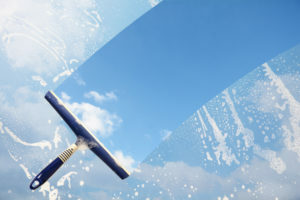 Boeshield T-9 is a spray-on product that creates a film over the exposed connection and protects it from the saltwater environment. Many boat owners don’t give thru-hulls and seacocks much thought regarding maintenance. They might think of thru-hulls, made of bronze or plastic, as finished-off holes in the boat, and seacocks, also available in bronze or plastic, as simply valves that can be opened or closed. However, when there’s a serious failure of a below-the-waterline thru-hull and seacock, the boat can sink or an engine can burn up when deprived of cooling intake water. Thru-hull fittings and the seacocks attached to them function as gatekeepers, allowing water to pass into and out of the boat. Thru-hulls are both above the waterline for bilge and A/C water discharge, and below the waterline in combination with seacocks for raw-water intakes for engines, generators, A/C systems, washdown pumps, and more. When doing maintenance, test bronze thru-hulls with a pocketknife by poking into the flange. If you see bright shiny bronze you are okay, but if you uncover pink, flaky material, it’s time to replace it. Likewise, plastic thru-hulls can crack and leak. Thru-hulls can be fouled by barnacles, and you want to check the seacocks to make sure they open and close smoothly and that there are no leaks. Original article published on Southern Boating.